Among precious stones and jewelry, rubies have been a highly desired precious stone for hundreds of years. When it comes to appraising the value of a ruby stone, it is very important to feel confident and secure that you are dealing with a trustworthy ruby grader and buyer. While pawnshops and local jewelers may offer you unfair quotes for your ruby stones or jewelry, highly reputable buyers like us, NYC Bullion, guarantee that you will receive an honest appraisal and a generous cash payout. Our professional team of certified gemologists and jewelry experts ensure that when selling rubies, you can see the entire process of authentication, so you can be 100% sure you will receive the most accurate and detailed information about your ruby’s value. Here, at NYCBullion, our mission is to provide you with a safe and delightful experience when you decide to sell rubies. 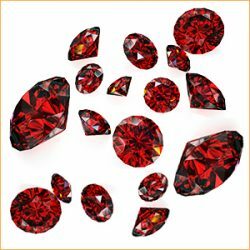 Your ruby assets will be graded according to their color, carat weight, clarity, and cut. Stop hesitating – get your free appraisal and the best cash for ruby offer today, by visiting us in the heart of NYC – the Diamond District Area! If you are wondering where to sell rubies, you can stop your searches because you’ve found the right place! At NYCBullion, we provide you with the best and most pleasant experience when selling rubies. Located in the heart of NYC, we can assure that you will feel safe and secure if you decide to give your ruby jewelry and stones for appraisal to our certified experts and gemologists. Our professional team uses only certified and calibrated scales to measure your ruby’s assets. You can watch the entire process of authenticating your precious stone as it is performed right in front of you. This way, we ensure that the evaluation process is clear and transparent. Forget about undervalued offerings from local pawnshops and stop by our store, where we guarantee that you will get a fantastic and honest cash payout quote for your precious rubies. If you are wondering where to sell rubies, you can stop your searches because you’ve found the right place! At NYC Bullion, we provide you with the best and most pleasant experience when selling rubies. Located in the heart of NYC, we can assure that you will feel safe and secure if you decide to give your ruby jewelry and stones for appraisal to our certified experts and gemologists. Our professional team uses only certified and calibrated scales to measure your ruby’s assets. You can watch the entire process of authenticating your precious stone as it is performed right in front of you. This way, we ensure that the evaluation process is clear and transparent. Forget about undervalued offerings from local pawnshops and stop by our store, where we guarantee that you will get a fantastic and honest cash payout quote for your precious rubies. The ruby’s value is determined by four main key factors: color, clarity, cut, and carat weight. As in the case of the other precious stones, color is the most important factor when assessing the value of a ruby. The more saturated and intense the red color is, the more the ruby is worth. Clarity is also a key factor that authenticates a ruby stone. The cleaner the ruby is, the higher its price will be, but this kind of natural stone is extremely rare. Keep in mind that natural rubies have internal flaws and if a ruby is nearly without internal defects, it is most likely a synthetic ruby. The cut of a ruby can vary in shapes, yet the most popular ones are round. Regarding the carat weight of a ruby, the price is several times higher if the stone has more than 2 carats. Remember that most rubies are treated to mask their flaws, and some of them are covered with a special film to make their surface smoother. These two enhancements, however, will reduce the price of your ruby.